Andrew Wallace BDS (QUB) MClinDent Prosthodontics (KCL) MFGDP (RCS Eng). Andrew is a general dentist with special interest in Prosthodontics and Orthodontics and accepts referrals for full mouth rehabilitation, treatment of tooth wear, cosmetic dentistry and endodontics. Andrew gained his Master of Clinical Dentistry (MClinDent) in prosthodontics from King’s College London in 2015 and gained full Membership of the Faculty of General Dental Practice (MFGDP) for the Royal College of Surgeons England also in 2015. Andrew Wallace is one of the partners in Bachelors walk dental and has been since 2004. Andrew has a particular interest in aesthetic and restorative dentistry and is close to completion an MClinDent in restorative dentistry in Kings College London as well as working full time in practice. Andrew Lectures internationally on cosmetic dentistry, including cosmetic tooth alignment, tooth whitening and is principal trainer in Ireland for Inman Aligner Training, the group responsible for accrediting professional dental providers of the Inman Aligner system and clearsmile cosmetic orthodontic systems. Andrew was one of the first dentists in Ireland to use the aligner in 2008 and has been involved in the training side since 2011. As well as the accreditation course Andrew runs introductory talks and study clubs. The European Society of Aesthetic Orthodontics (ESAO) is a non-profit organisation that supports dentists and provides training on the latest developments in aesthetic orthodontics and educates the general public about aesthetically focused orthodontic treatments. 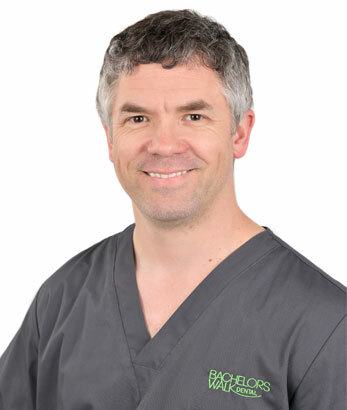 Andrew is one of a very small number of dentists acknowledged as an “Active” member of the Irish Academy of Aesthetic Dentistry and is a Full Member of the British Academy of Cosmetic Dentistry.